The Jewish cemeteries in Limburg and Weilburg. 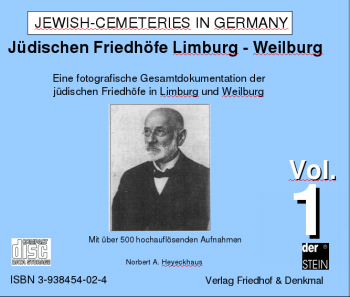 Complete documentation of the two cemeteries in Limburg and Weilburg an der Lahn. All the gravestones that existed in 2004 and overall views contained in more than 500 high-resolution photos. 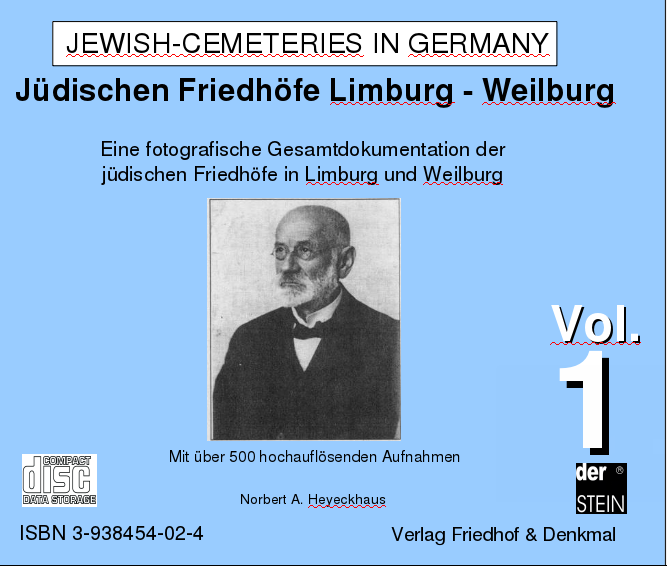 An ideal supplement to the publication “Jewish cemeteries in the Rhein-Lahn administration district”, since these two districts are directly adjacent. This documentation comes in USB Stick (over 500 photos – 525 MB data) and download. Country Germany Zip code : 35781 Location: Weilburg / Hessen . Small area at the “An dem Dill” Street . 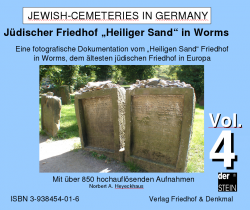 151 gravestones (the most with readtable inscriptions), 1 Monument of honour for those who died in the First World War and a plate with the following inscription “ZUR ERINNERUNG AN DIE JÜDISCHEN EINWOHNER DER STADT WEILBURG DIE OPFER DER NATIONALSOZIALISTISCHEN VERFOLGUNG GEWORDEN SIND”. 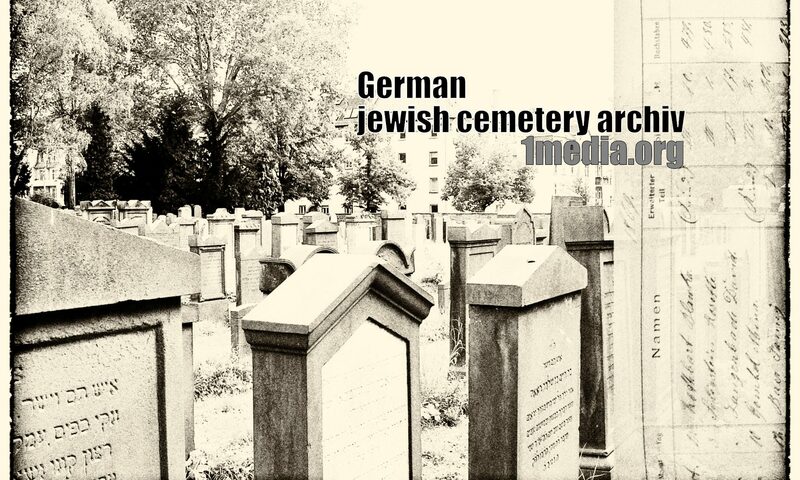 Very beautiful and top-quality photos of Jewish graves and cemeteries in Germany, most with exact map reference and layout plan. This dokumentation contains all existing graves inclusive of a list of names .